Friend, family member and guardian – your dog is more than just a pet. So, if you’re considering adding another furry friend to your home, it’s important to take into consideration the needs of everyone involved. Here’s everything you need to know about introducing a second dog into the family. Is your first dog friendly towards others? Not all dogs are social animals. As a pet owner, you’ve probably observed that dogs each have their own unique dispositions and quirks. While the stereotype of a dog as a fun loving friend who just wants to chase balls and sniff other dogs all day long is appropriate most of the time, some canines just prefer their own space. Is your dog playful and friendly to other dogs in the park? How does your dog react when other dogs come to your house? Does your dog display overly protective behaviours towards members of your family? In some situations you may be able to train these behaviours out of your dog before inviting another pet into the family. Ultimately, it’s your responsibility as an owner to make decisions that keep everyone safe and happy. Of course, if your pet is a friendly, sociable type, you’re already in a good position to look at adopting another dog. Think back to when you chose your first dog. You probably looked at qualities like disposition, energy and size in determining what kind of canine would be a good fit for your home. Selecting a second dog is much the same, only you’ll want to factor in your current pet’s needs as well as your own. Dogs are a lot like people, but you probably knew that already. What you perhaps haven’t considered is that matching the perfect pairing of furbuddies isn’t just a case of opposites attract. Good natured dogs will get along with each other no problems, but dogs that prefer to be the ‘boss’ of the canine family should be catered to as well. Just because you’ve got one assertive pooch doesn’t mean you should go out and get another. They’ll spend a lot of time challenging each other for top spot, leading to conflicts in the home. Dogs are pack animals, they establish a ‘pecking order’ among themselves based on disposition. It doesn’t matter so much which dog is boss, only that the dogs aren’t always challenging one another for position. Of course, it goes without saying that neither dog should think they are higher than any human members of your family. 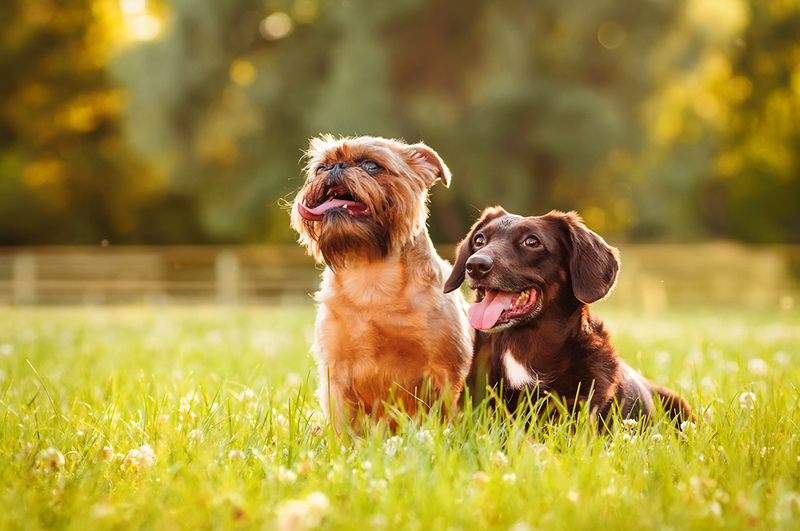 If you’re an owner who spend a lot of time at the dog park, you’ve probably noticed how dogs tend to play according to their size. Small and fluffy dogs are more sociable with each other, and bigger, faster dogs prefer games at their own speed. Every so often a small dog might try their luck with the big ones or a large pup might think they belong with the smaller dogs. Similarly, you might be able to pair a larger dog with a smaller dog in your home if their size and energy dispositions match. Overall though, most dogs will feel more comfortable with other dogs of similar size. Like size, it’s important to match the energy of your new dog to that of your current dog. If you’ve got an aging old pooch who’s into their twilight years, consider a similarly aged and low energy pooch. The same logic applies for young, energetic puppies. If you’re worried about ‘too much’ energy in the house, then you might try introducing a dog who’s more assertive and calm into the mix so that your current dog learns from them. Be careful with matching two dogs that aren’t meant to be. Like all relationships, if there isn’t common ground it won’t be built to last. At first, it’s reasonable to expect some teething issues and settling in, so you’ll want to make sure someone can be around to keep an eye on things for the first couple of weeks, just to be sure. Having the time to exercise and socialise with both. Having the budget to afford food, hygiene products and vet visits. There’s a few other considerations to keep in mind when filling the ranks of your home with furry friends. There’s increased risk of fighting between two dogs of the same gender. While this isn’t a hard and fast rule, it’s something to consider. Siblings from the same litter will bond more with each other than other members of the family. So you might want to choose dogs that aren’t related. Small variances in size, energy and disposition are fine. Larger ones are not. There’s no one size fits all when it comes to the best makeup in your dog and human family. Dogs that suffer from separation anxiety aren’t likely to be cured by introducing a second pet, and while some dogs will be happier with a canine friend, it’s not a requirement for a fulfilling dog life. Every dog is different, so make the best choices you can for both you, your family, your dog, and your new additions to the family.